Pacific Standard Time, the sprawling art exposition that includes encampments at 60 different venues in the Los Angeles area, has already shifted the narrative for signifiers like California, art, post war, innovation. 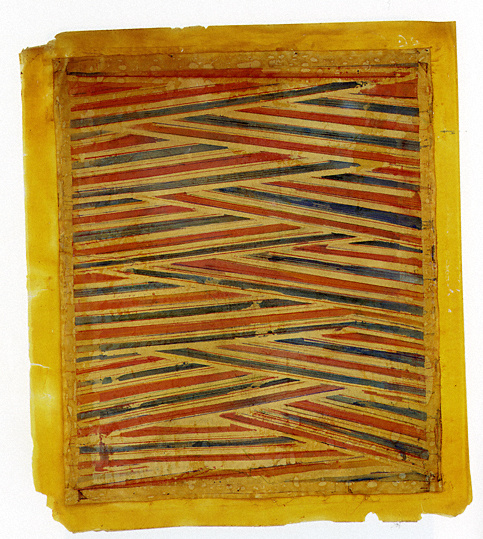 The image that comes to mind is an immense tarp laid out in the desert, an expanse of flatness that seemed inert. Then one day a helium truck showed up. Who knew? The immense and colorful hot air balloon, air borne and levitating over Los Angeles right now, is more spectacular than anyone imagined. With my sensibility villi all still aflutter from a week of overstimulation I’ll just launch in and share a few highlights. 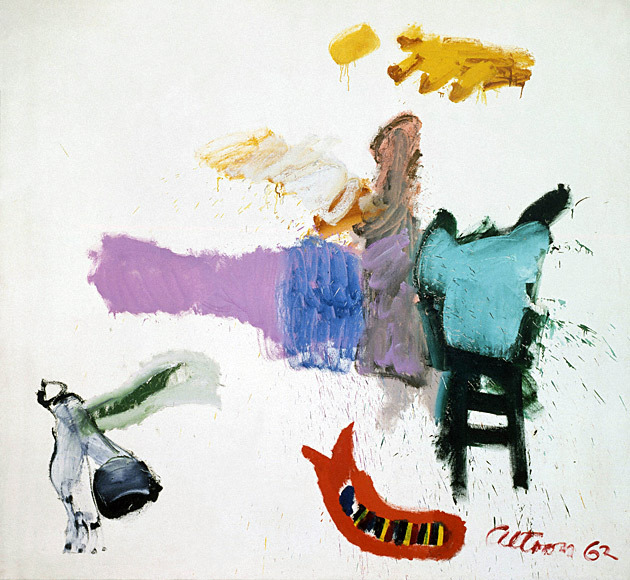 A good beginning is the Getty (the organization that conceived and underwrote this whole thing) and the Crosscurrents in L.A. Painting and Sculpture, 1950–1970 show. Just a few words but mostly images. 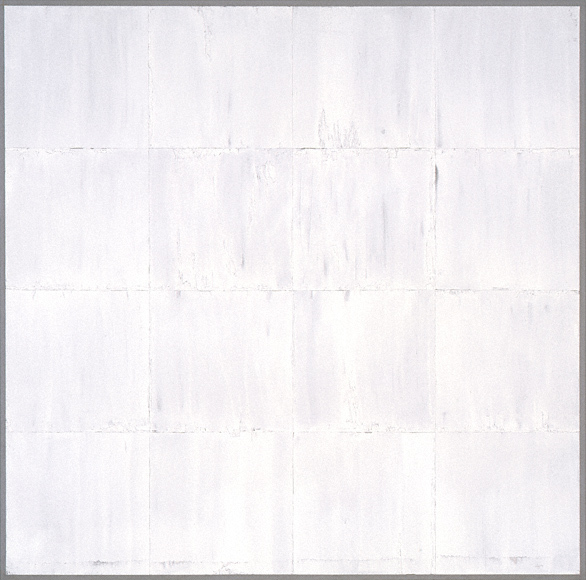 This Mary Corse painting so subtle and reflective it is nearly impossible to capture it in a photograph. Ah. Bruce Conner. Finally this artist and his multifarious gifts are on display all over town (as well as at the Rose Museum in Boston). This early piece is a particular gem. Ed Moses. In his 80s now with a legacy that is legion. This early collage is compelling as is a piece on resin. John Altoon (who died way too young, in 1969), was doing his own Ocean Park series before Diebenkorn made the Venice neighborhood world famous. 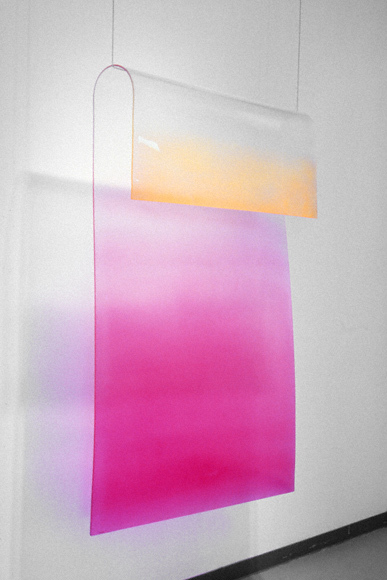 Craig Kauffman mastered industrial plastics and his ethereal works seem to float in space. Untitled, 1969, Craig Kauffman. Acrylic lacquer on plastic. Courtesy the Estate of Craig Kauffman and the Frank Lloyd Gallery. 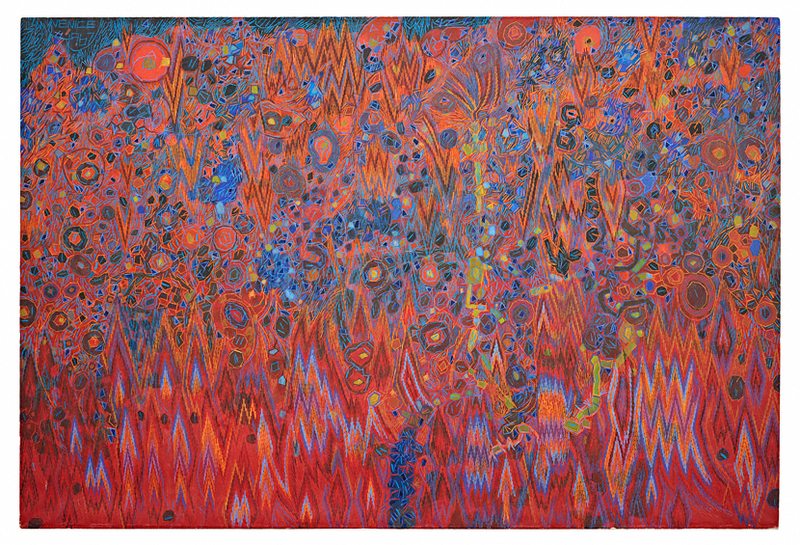 Often referenced for his teaching at UCLA, Lee Mullican had an interest in spiritual dimensions and was influenced by Native American traditions, Surrealism, Zen Buddhism and jazz. Untitled (Venice), 1967, Lee Mullican. Oil on canvas. 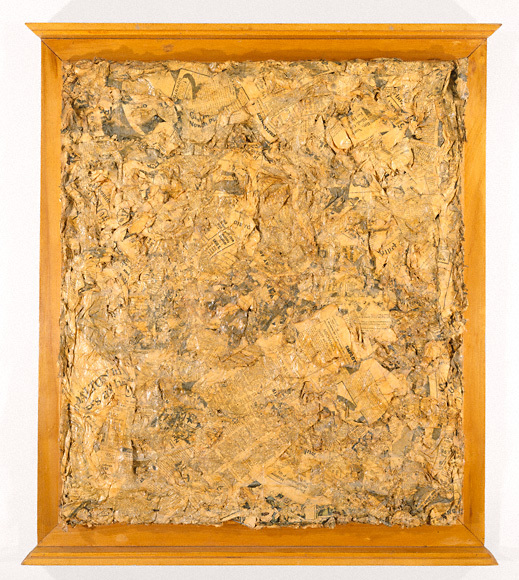 Estate of Lee Mullican, Courtesy of Marc Selwyn Fine Art, Los Angeles. 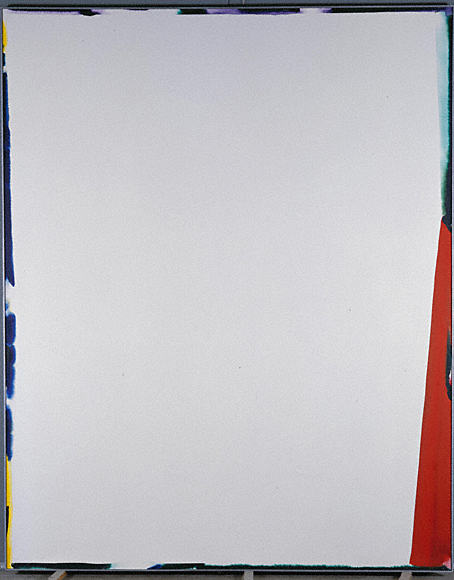 Untitled (Mako Series), 1967, Sam Francis. Oil on canvas. Collection of The Modern Art Museum of Fort Worth. OK. I’ll stop there for now. More, more, more to come. Welcome back. Images of marvelous pieces! I’ve been on the dedicated PST Website a number of times. No substitute for seeing the work in person (sigh) but the resources there are excellent, as I mentioned in an All Art Friday. 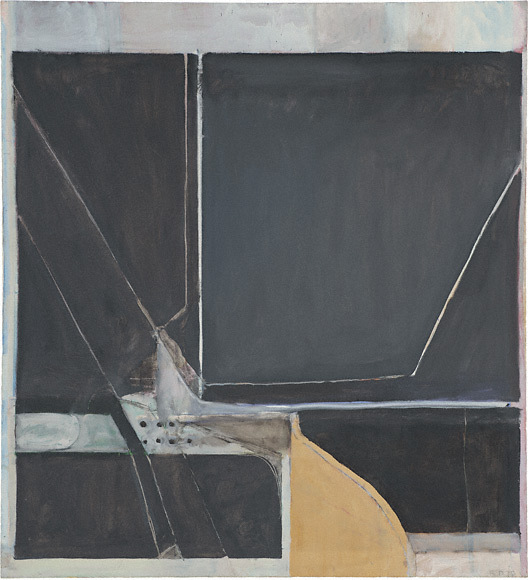 I could look at Diebenkorn all day. His daughter’s recent talk was interesting. The Diebenkorns are lovely, and that Sam Francis is knockout too! WOW, what great pieces you showed! That black Diebenkorn is unbelievably fabulous. I also really liked the Bruce Connor piece. I had never heard of him so will do some research. These shows will blast open that New York-centric view of art history, I am sure. Thanks so much for posting these, Deborah! Thanks for this wonderful glimpse of what looks like an amazing group of works. So glad so many of you responded to these works. I’m still vibrating from the whole experience. More images tomorrow. What spectacular work! 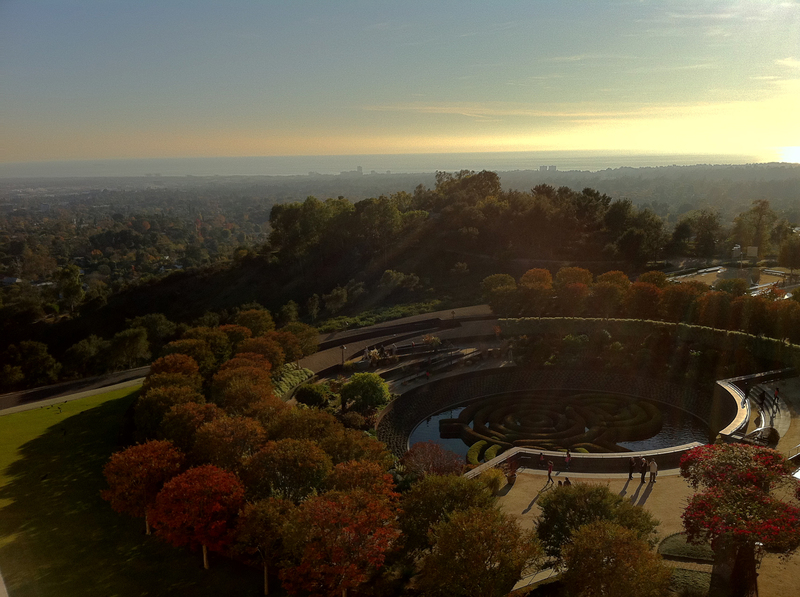 and the view from the Getty is breath taking. Thanks for sharing, Deb! Thank you! I love that you were overwhelmed by these works … How exciting! This is a wonderful introduction to what will be a re-thinking, as you say. I think the Sam Francis piece is amazing … I will think about edges more fully as I paint now…. You brought it all to life. Thanks. I was looking everrwheye and this popped up like nothing! Some wonderful painting here, that for many became pase years ago. Definitely worth another look. 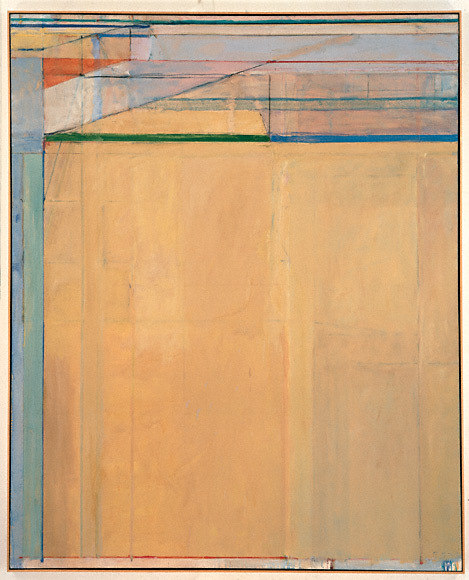 In a recent interview with John Hoyland (Turps Banana, Issue 8) I think he said that he had never seen a bad painting by Richard Diebenkorn.